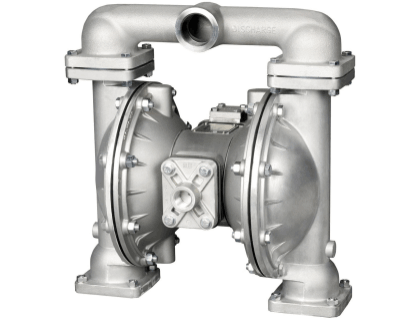 Learn about the Alemite 8324 1-1/2" Diaphragm Aluminum Pump Buna Diaphragm Material. Includes pricing, features, and frequently asked questions. The Alemite 8324 1-1/2" Diaphragm Aluminum Pump is a diaphragm pump designed for high-volume transfer and dispensing low-viscosity liquids, such as antifreeze and oil. Pros: High volume liquid transfer and dispensing. Cons: Recommended for antifreeze, and new or used oil only. Bottomline: A stable and reliable diaphragm pump for dispensing low-viscosity liquids. The Alemite 8324 1-1/2" Diaphragm Aluminum Pump retails for $772.91. Does the Alemite 8324 1-1/2" Diaphragm Aluminum Pump have a warranty? Yes, all Alemite products come with a one-year manufacturer's warranty. Where can I buy the Alemite 8324 1-1/2" Diaphragm Aluminum Pump? You can buy the Alemite 8324 1-1/2" Diaphragm Pump by clicking on the link above, or from sites like Megadepot and Amazon. 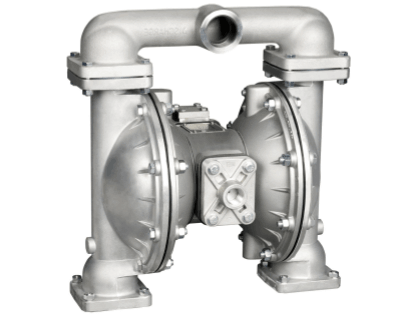 What are some Alemite 8324 1-1/2" Diaphragm Aluminum Pump alternatives?